McCombs tweaked his buzzbait – a white War Eagle model fitted with a Zoom Horny Toad – by swapping the blade for one that spins in the opposite direction than what comes stock. He wanted the bait to track toward the bank so that if he made a bad cast, he could more easily steer it in the right direction. 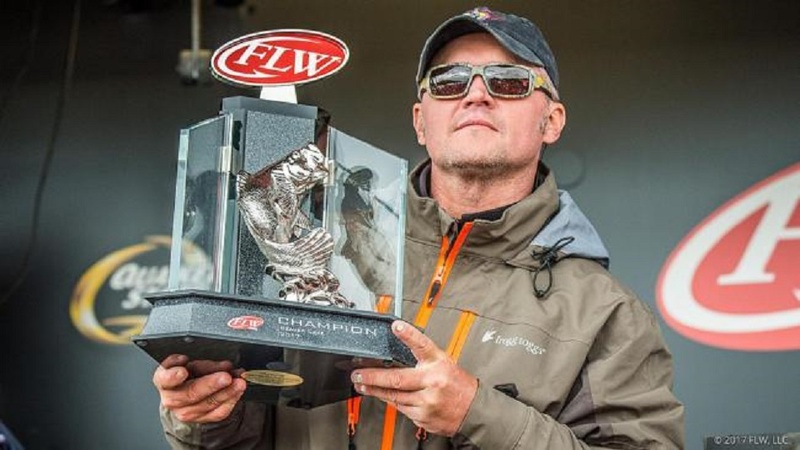 He fished it on 25-pound-test Seaguar fluorocarbon line.